The boss of the Education and Skills Funding Agency has promised MPs that management apprenticeships will be “increasingly” audited to ensure they are “additive” amid fears they offer little value for public money. During last night’s Public Accounts Committee hearing on apprenticeships Eileen Milner (pictured) was asked if she was concerned at the increase in levy-funded MBAs while the number of starts on level 2s continue to plummet. She told the committee’s chair Meg Hillier that the take-up of level 7 apprenticeships is “new and growing” but it is “still a very small proportion of the totality”, before explaining how the ESFA is tackling the situation. “Where we see MBAs the test that we have to do and that providers of MBAs have to do is that what they are delivering is something that is genuinely new knowledge, skills and behaviours that is equipping somebody for an occupational standard,” Milner said. 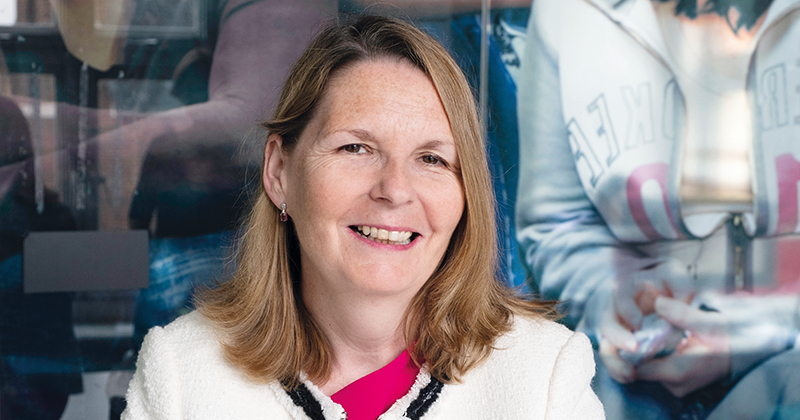 The ESFA chief executive said that at the moment MBAs are “very nascent programmes” but in “due course I’ll be hoping to come back to you to report on hopefully the success of programmes where employers are saying we do want those higher level skills, they are providing something additive”. Milner’s comments follow a reminder from the agency last month that providers must conduct prior learning assessments. Prior learning refers to skills, knowledge and behaviours gained by learners before they start their apprenticeship, and must be taken into account by providers when negotiating a price with an employer to ensure cash is not being used to teach an apprentice something they already know. The repercussions for not conducting these assessments are severe, as the funding rules state that funds “may be recovered” where there is non-compliance. And last month FE Week reported that the DfE had commissioned research to review high prices for apprentices with prior learning. The crackdown on the rule comes after Ofsted chief inspector Amanda Spielman said in her annual report for 2018 that many apprentices were “not learning anything new”, and were just getting accreditation for knowledge and skills they already had. She warned that the apprenticeship levy was being spent on rebadged graduate schemes. Hiller quizzed Milner on this yesterday, and questioned whether it was a “good use of public money” to “fund something an employer might have already introduced for highly paid employees” in the past without levy cash. “I would say an exceptional employer who has made the time commitment to off-the-job and the investment to the amount of time and duration they will give to occupational readiness, I think the balance sits that employers are doing more than they have ever done before and we should be supportive of that,” the ESFA chief executive said in response. Jonathan Slater, the Department for Education’s permanent secretary, also appeared in front of the PAC last night and admitted hard choices will need to be made in the face of an imminent apprenticeship budget overspend. One option would be to “prioritise some apprenticeships over others” in terms of funding.